Well, here we go again. Just about to start my Ironman specific training for my 4th Ironman. I am very excited to train for this one. 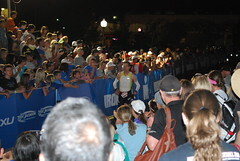 I have done Arizona before so this will be my first repeat performance on an Ironman distance course. I hope that works in my favor! I have had high hopes about someday punching my ticket to Kona. To be honest, lately I have been feeling that may be out of my reach. I do think that I could do it, physically. BUT, I am not sure I have the mental drive to be that focused or the time in my life to give it all the attention it will require. I plan on training my absolute best for Arizona this year. I have pretty aggressive (for me) time goals. But to be competitive to get into Kona I need to take an additional 30-45 minutes off my goal time. I am not totally sure I have the time to make that happen. 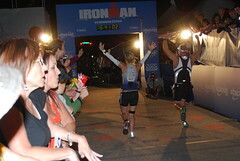 I am looking ahead to next year and I may even take a bit of a break from Ironman. The cost and time requirements are making it hard to keep working on the goal. It may be time to take a year to do more stuff that is local and has a lower financial investment. Plus I really want to set a new marathon PR at Boston! 3:30 baby!!! Anyway, watch this space for training updates as I prepare for Arizona. Thanks, as always, for your following and support! I totally understand all the realities of actually training for Kona. I believe that when you’re ready to fully commit, you will do it. Your plan right now sounds perfect. You do this stuff because you enjoy it, right? Keep it that way! I really do enjoy it. Thanks for reading!